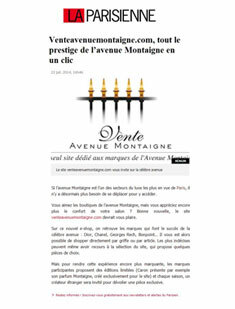 The red carpet has been rolled out for Vente Avenue Montaigne! 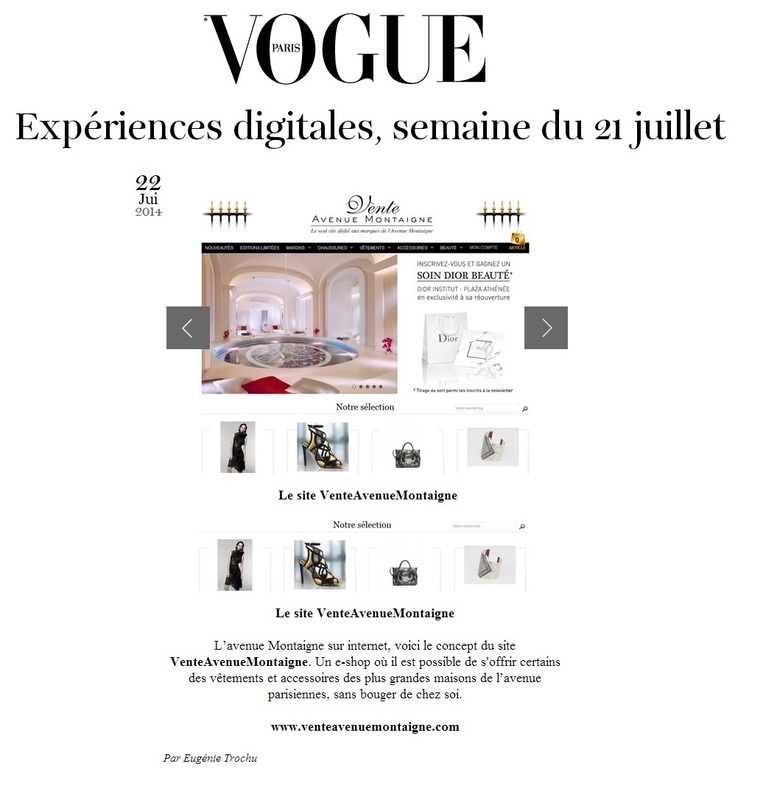 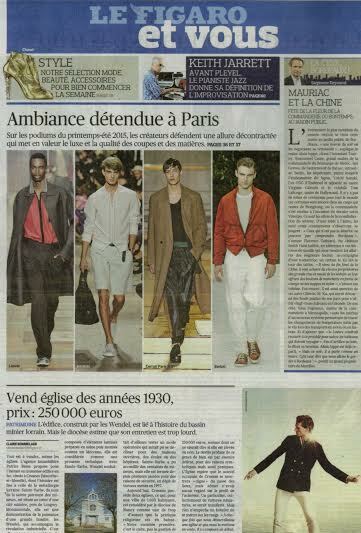 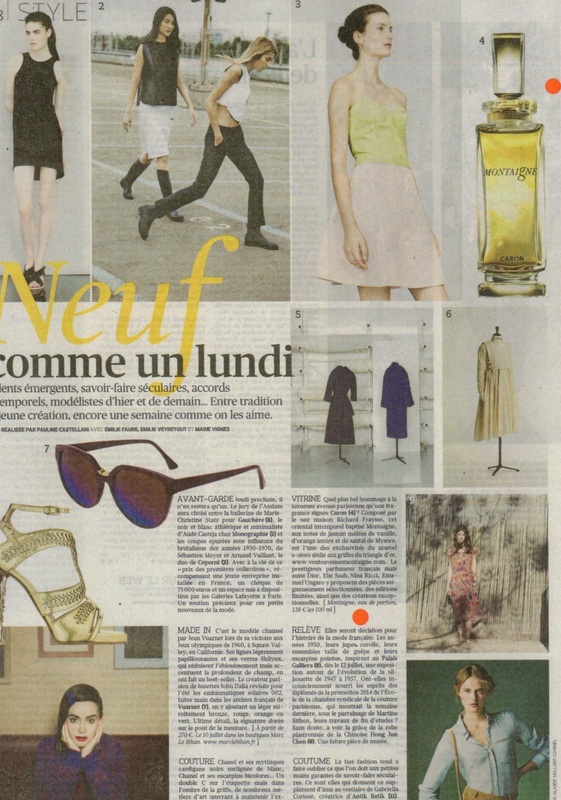 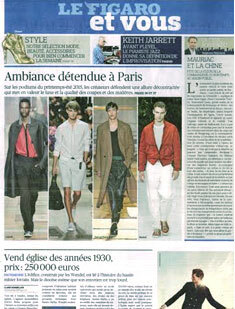 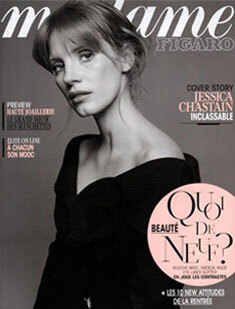 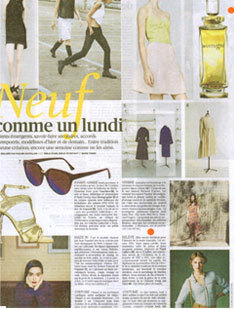 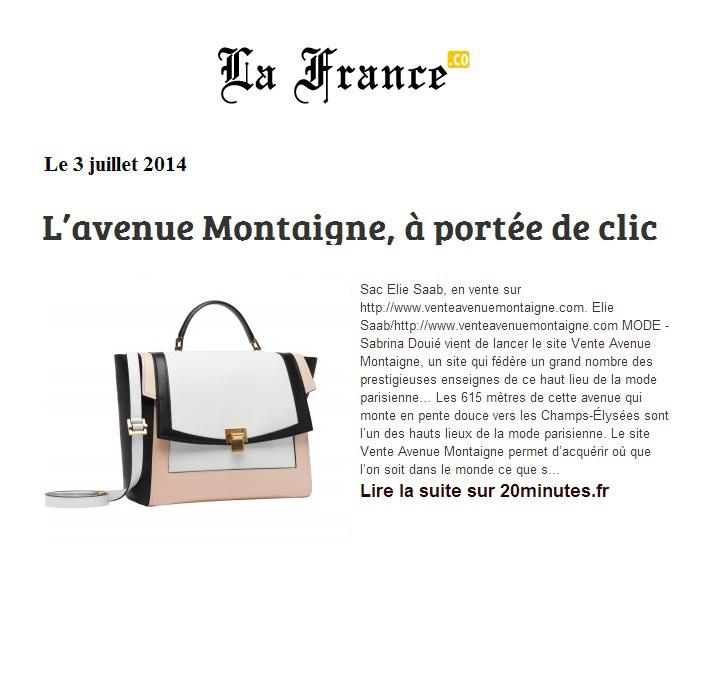 Daily newspapers and lifestyle magazines have wholeheartedly greeted its unique concept: offer a carefully chosen selection of clothing and accessories from the latest collections, designed by the most prestigious Maisons on Avenue Montaigne. 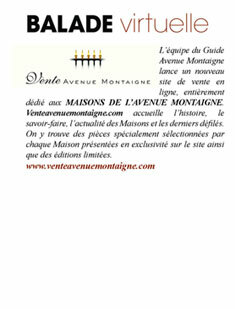 And all this under the same "online roof" so that the Avenue Montaigne is available to you in only one click! 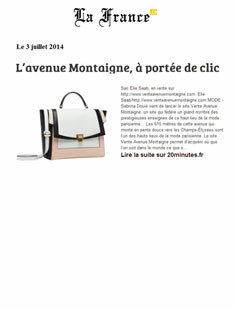 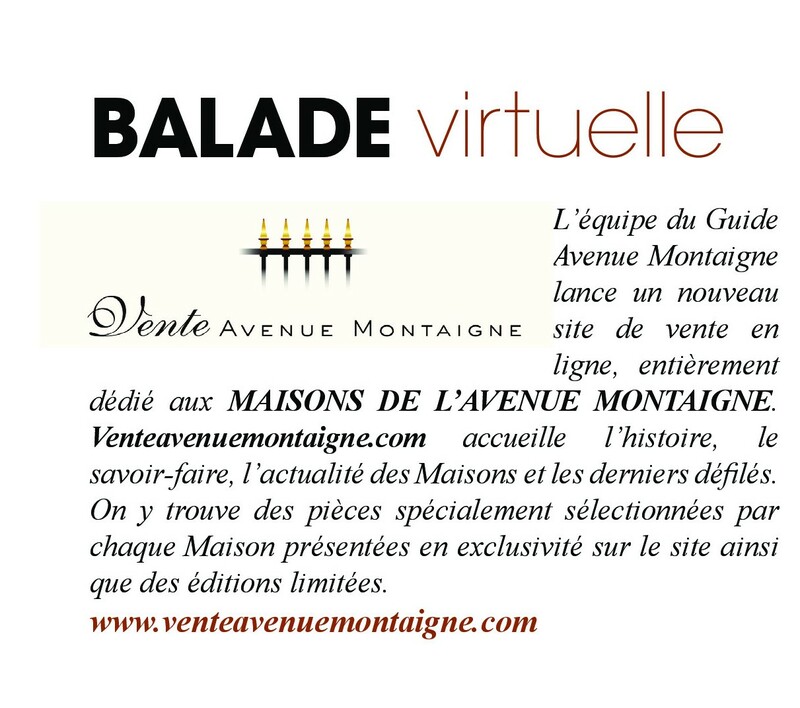 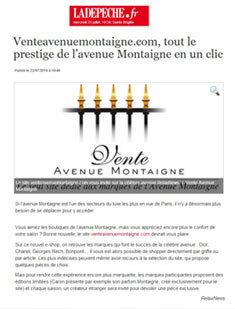 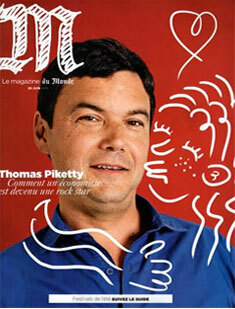 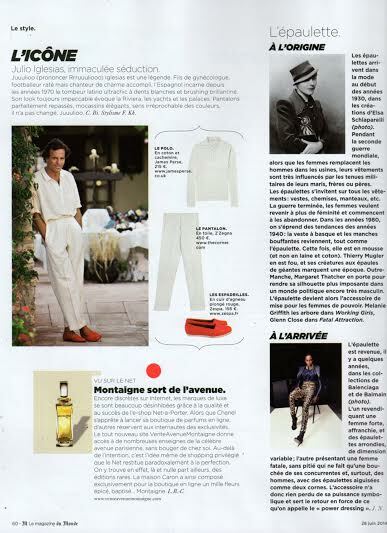 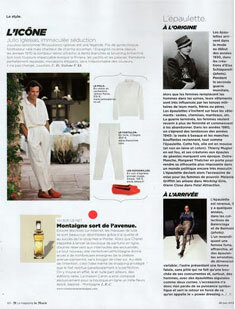 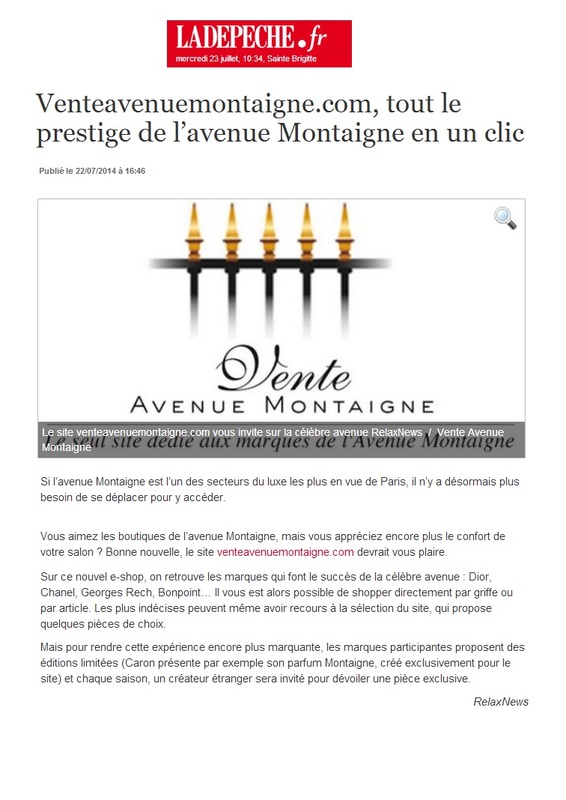 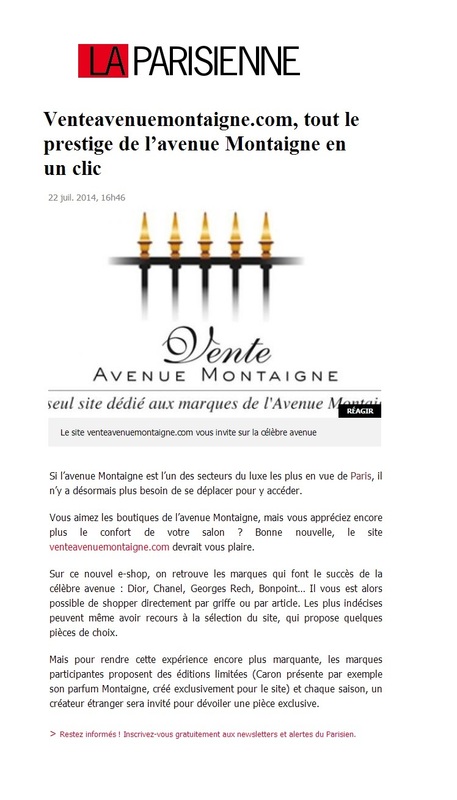 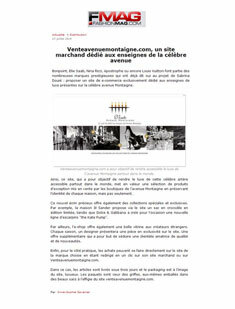 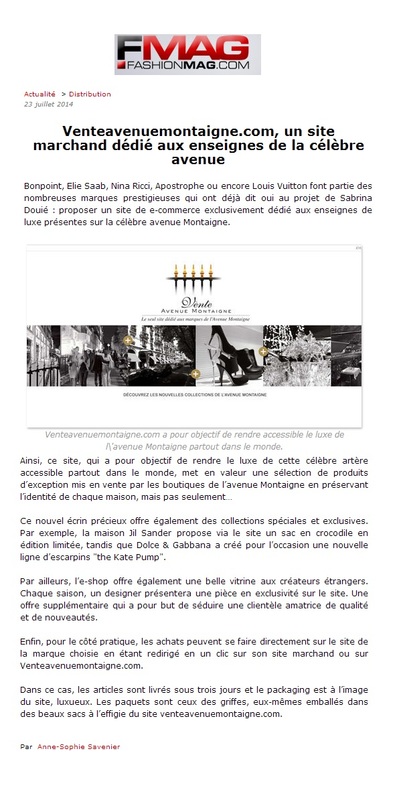 You will find below a few articles in French dedicated to Vente Avenue Montaigne.